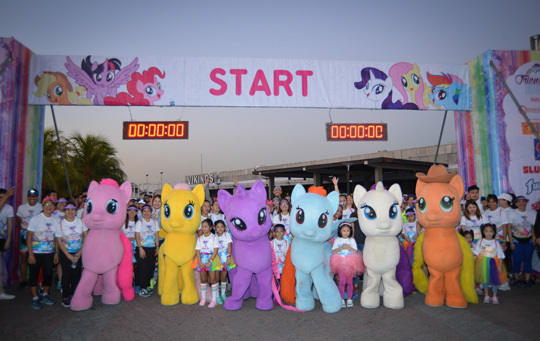 A bunch of “little ponies” recently participated in a friendship run at SM By the Bay. 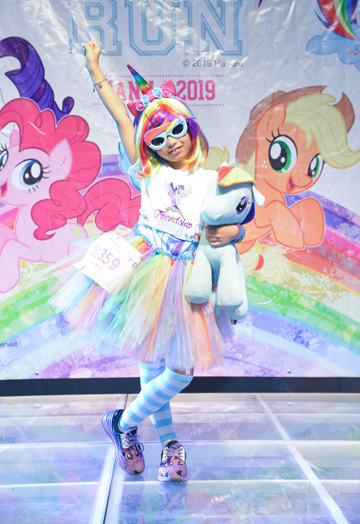 My Little Pony’s beloved characters—Twilight Sparkle, Applejack, Rainbow Dash, Pinkie Pie, Fluttershy, and Rarity—join the kids and their loved ones in an exciting and colorful friendship run. 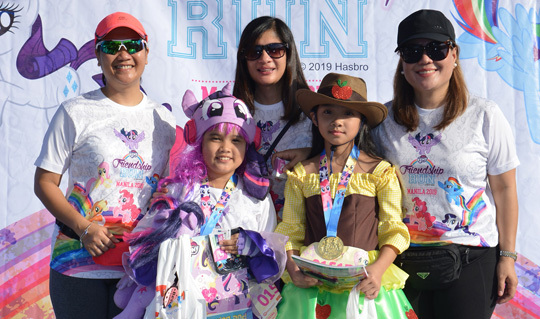 Toy Kingdom, in partnership with Global Procurement Inc., recently staged the second My Little Pony Friendship Run Manila, inspired by the famous My Little Pony: Friendship is Magic television series. 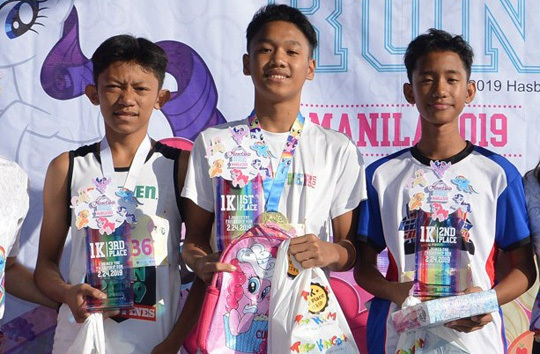 My Little Pony Friendship Run 3K winners Cavin Bidal, Jartsen Saldua, and Gabriel Servantes. Kids had the chance to run together with their loved ones and meet new friends along the way as they finished the 5K, 3K, and 1K runs. 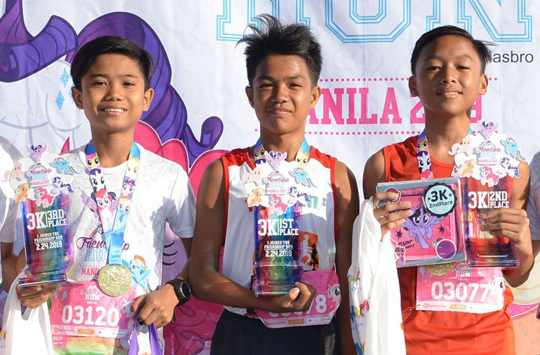 My Little Pony Friendship Run 1K winners Jehan Saldua, Angelo Cacho, and John Paul Mondejar. The beloved ponies from the Ponyville world—Twilight Sparkle, Applejack, Rainbow Dash, Pinkie Pie, Fluttershy, and Rarity also took part in the event. My Little Pony: Friendship is Magic, launched in 2010, follows the lives of six ponies in the Ponyville world. Each pony represents a different facet of friendship as they travel together, seek new adventures, and resolve problems that arise in their friendship. Freya Yu and Anya Del Callar in their colorful My Little Pony costume. Kids can get their hands on My Little Pony toys available at Toy Kingdom stores and Toy Kingdom Express outlets. Best in My Little Pony Costume winners with Toy Kingdom’s Pearl Datiles, Global Procurement, Inc.’s Marites Fragante, and Media Link’s Anna Ringler.